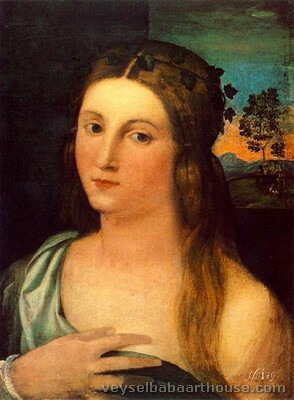 Palma il Vecchio (c. 1480 – July 1528), born Jacopo Palma and also known as Jacopo Negretti, was an Italian painter of the Venetian school born at Serina Alta near Bergamo. 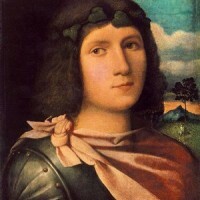 He is called Palma Vecchio in English ("Old Palma" in Italian Palma il Vecchio) to distinguish him from Palma Giovane, his great-nephew. 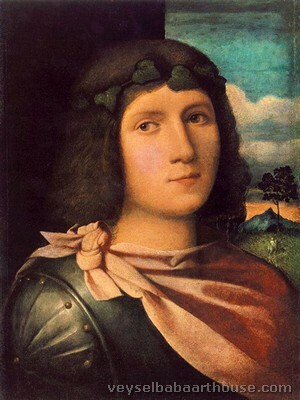 When Palma arrived in Venice early in the 16th century, he reputedly was a companion and competitor of Lorenzo Lotto, and to some extent a pupil of Titian. 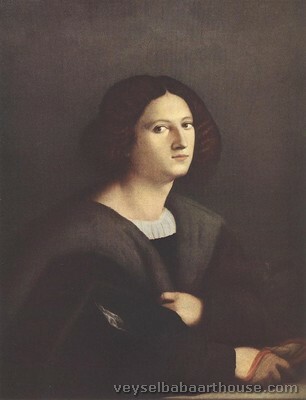 He may also have taught Bonifazio Pitati and influenced Giovanni Busi. 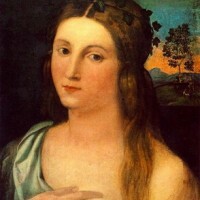 Palma's earlier works betray the influence of Giovanni Bellini. 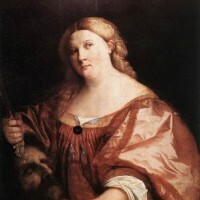 Palma's work demonstrates superior richness of color, but he did not excel with regard to invention nor vigorous draughtsmanship. 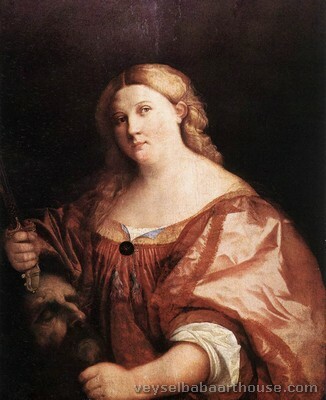 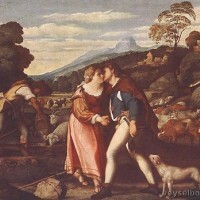 His paintings frequently feature his (so-called) daughter Violante, of whom Titian was said to be enamoured. 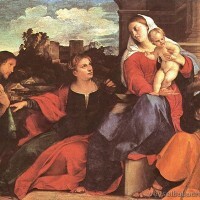 Famous works by Palma include a composition of six paintings in the Venetian church of Santa Maria Formosa, with St Barbara in the centre, under the dead Christ, and to right and left SS. 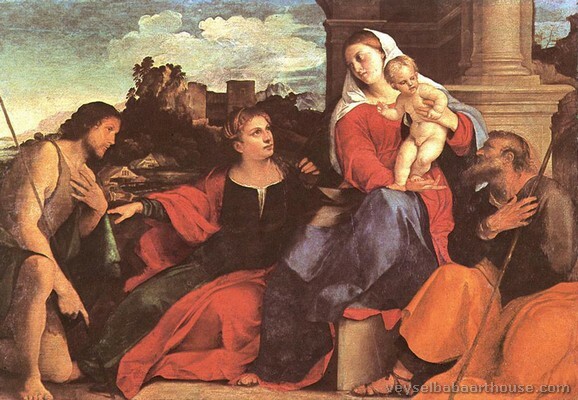 Dominic, Sebastian, John Baptist and Anthony. 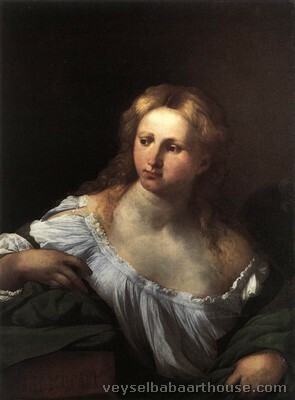 A second work is in the Dresden Gallery, representing three sisters seated in the open air; it is frequently named The Three Graces. 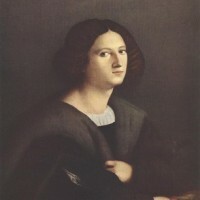 A third work, discovered in Venice in 1900, is a portrait supposed to represent Violante. 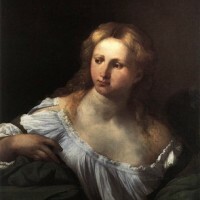 Other leading examples are: the Last Supper in the National Gallery for Foreign Art; a Madonna, in the church of Santo Stefano in Vicenza; the Epiphany, (Brera Gallery, Milan); the Holy Family with a young shepherd (Louvre, Paris), The Holy Family with St. Catherine, St. John and Donor and Self Portrait (Beli Dvor, Belgrade ), St Stephen and other Saints, Christ and the Widow of Nain and the Assumption of the Virgin, (Gallerie dell'Accademia, Venice), Lady with a Lute (Alnwick Castle, England) and Christ at Emmaus (Pitti Palace).